But sometimes that isn't so easy. It definitely isn't for Diego Foxglove, a 6'4'' former drug dealer who sprouts mutant mouths and turns into a giant wolf-dog to fight killer alien fungus. If it's not the vague specter of society looking down on him for being an immigrant, an Excentric, or both, it's faces from his tangled past coming back to quite literally give him grief. Diego wants nothing more than to keep his head down and away from the many things troubling him, but that seems all but impossible. Except it isn't- because as it turns out, Diego has one more ability that he never knew about. A different form. Something smaller, more inconspicuous, more... fluffy? 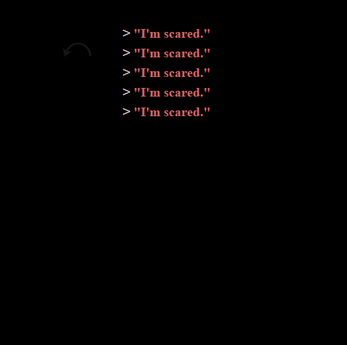 POM SIMULATOR 9000 is a Twine-based visual novel (with illustrations!!!) centered on relaxation, emotional vulnerability, and turning into a dog. There are 3 "bad ends," 1 pretty good end, and 1 True End. Can you find them all? Do you want to??? make up with your girlfriend! make things much much worse with your girlfriend! 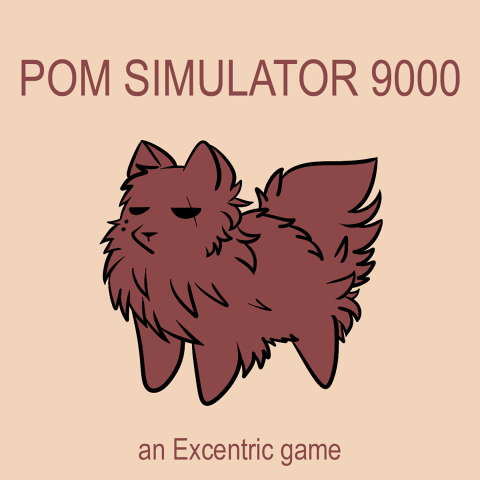 POM SIMULATOR 9000 is rated PG-13 for blood/gore, swearing, and mild sexual themes. 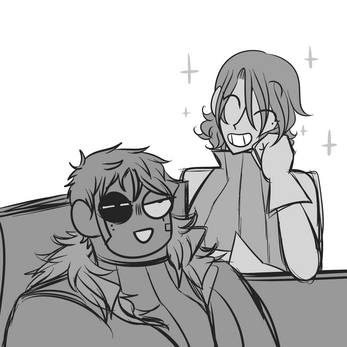 Other content includes body horror, racism, mentions of abuse, drugs, and violence. You can learn more about some of these characters here. Any chance you could update the tags for this game so it'll download through the Itch desktop app? Right now it says it's not available on Windows. I'm glad I finally got to play this game and give some money your way. I love your work because it can be so raw and hard, yet simultaneously gentle and loving. I loved this, thank you for sharing this super self indulgent, funny, emotional work. I hope you keep on doing what you're doing for as long as you can. You've made such real characters that really were tugging at my heartstrings (and a dang interesting world too). I got the true end, and it was so amazing and made me so happy! I kind of started playing only because I had nothing else to do, but I don't regret one second of it. The way the characters are fleshed out, the glimpses you get of the world, the story progression... it was great from start to end. I will probably play it again, even though I'm not planning on trying to get the other endings since I got the best one and I'm in love with it. But well, when I can't force myselt to do any other ending than the first one I got in a game it means it was so perfect that I feel totally fulfilled, so that's fine. And well... Fulfilling is a good word for describing the ending. It was sweet and lovely, but not too sugary or mellow. More often than not, when you finish a visual novel or text adventure game, even with your favorite ending, there is at least one little thing that bothers you or that you'd like to be slighly different. Here, I wouldn't want anything to be any different - it was perfect. Well, I feel like I simply repeat the same things at this point sooo... I guess I'll end it now? Anyway, this game really made me feel better even though I have lors of troubles in my life right now. It was truly a great moment, so thank you very much! thank you so much! it really means a lot to me that you've written so much about your response and that you had such a big response to the game in the first place! i really appreciate it! sorry to hear that! can you be more specific about what isn't working? is the file not downloading? are you not able to play it in your browser? i should note i've only tested in google chrome, and while it should in theory work in all browsers, it's possible that it doesn't.